Blizzard has a lot of beloved properties under its banner. Maybe you noticed. Three biggies are Overwatch, Diablo, and Warcraft, and they're all represented in Blizzard's Black Friday sale. Blizzard's store sale is already in full swing, and it runs through November 30 at 11 p.m. PST. You'll find up to 75% off on toys, books, accessories, and clothing based on Blizzard's games. Browse, buy, and enjoy. All prices are in USD. If you're like me and fashion confuses and frightens you, game-related shirts, pants, and hoodies can be a godsend. Blizzard has you covered (literally) with sales on clothes based around Overwatch, Diablo, and World of Warcraft. Alliance Armor Leggings by Wild Bangarang - $27.50, down from $55 - So you want to show off your loyalty to World of Warcraft's Alliance? Start by putting on some pants for the gods' sake. Alliance Leggings by Wild Bangarang - $27.50, down from $55 - More Alliance-themed leggings for you to stride around in. Diablo The Dark Wanderers Shirt, Men's - $16.80 down from $24 - A Diablo shirt that seems nondescript until you notice the handsome skull-and-scythe motif on its back. Diablo the Dark Wanderers Shirt, Women's - $16.80, down from $24 - Another Diablo shirt with a grinning skull on its back, only this time for the ladies. Alliance Skater Dress by Wild Bangarang - $30, down from $60 - A very cute, lightweight dress that lets you fashionably show off your love for World of Warcraft's Alliance. Starcraft Ghost Nova Leggings by Wild Bangarang - $38.50, down from $55 - Pretty Starcraft leggings for all your Zerg-stomping needs. 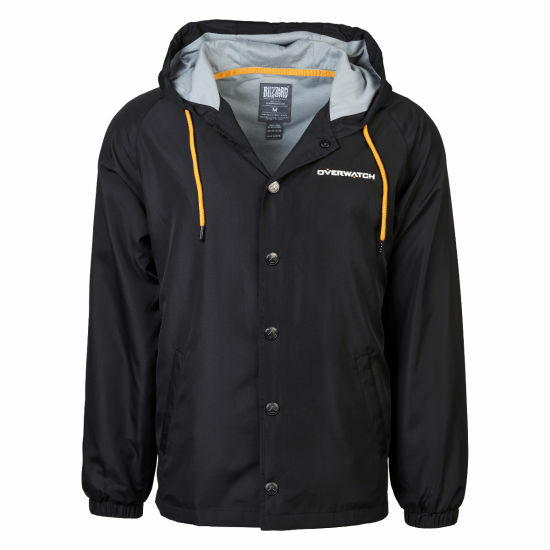 Overwatch Coaches' Jacket - $49, down from $70 - The Overwatch universe is in disarray and we need your guidance, coach. Hearthstone Pullover Hoodie - $42, down from $60 - A hoodie to keep you toasty while you play Hearthstone. Hearthstone Vintage Logo Shirt - $19.60, down from $28.00 - Or if "cool" is more your style, opt for this Hearthstone logo T-shirt. Ever wanted to hug Diablo, the Lord of Hell? It's possible to do it at a discount thanks to Blizzard's Black Friday sale on all its toys. We're not responsible for any scorch marks left on your person as a result of your activities. 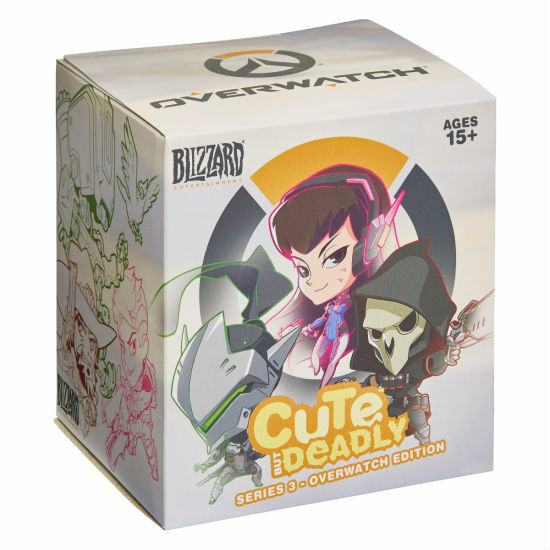 Cute But Deadly Blind Vinyls Series 3: Overwatch Edition - $2.50, down from $10 - They're cute. They're deadly. They're Overwatch vinyl figures. Cute But Deadly Colossal Arthas Figure - $13.75, down from $55 - Put this giant vinyl figure of Arthas from World of Warcraft on your desk and let him glower at you whenever you slack off at work. Cute But Deadly Colossal Diablo Figure - $27.50, down from $55 - the Lord of Hell is very vicious and dangerous, as you can see in this vinyl figure. Nendoroid Mei - $25, down from $50 - Mei Nendroid. Too cute for Black Friday, too cute for life. Nendoroid Mercy - $25, down from $50 - Mercy smiles over you with this Nendoroid figure. Savor it. Figma Tracer Figure - $35, down from $70 - A Tracer figure you can pose and bend. Be gentle. When you're well-dressed and surrounded by toys of all makes and sizes, grab yourself some Blizzard-related books. Read to yourself. Read to whomever will listen. Buy a bunch of Diablo figurines, place them in a circle, and read to them. Just read. Hearthstone: Innkeeper's Tavern Cookbook - $5.50, down from $22 - Learn how to cook cards. Actually, no, you're cooking Hearthstone-inspired recopies. Sorry to disappoint. Diablo Legacy of Blood - $10.47, down from $14.95 - The first book in the Diablo Legends series. 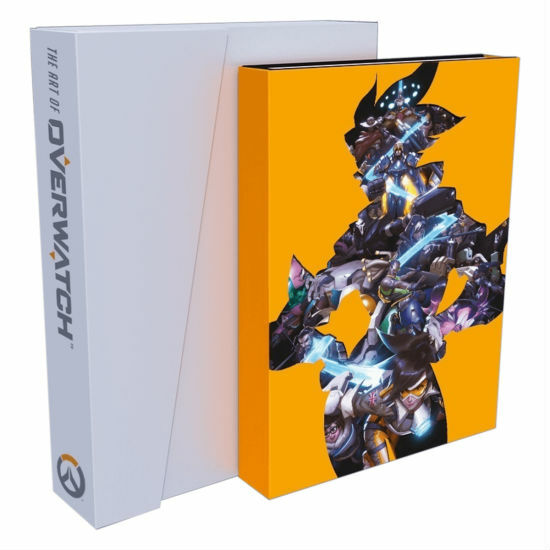 Art of Overwatch Limited Edition - $70, down from $100 - Is the art of Overwatch beautiful enough to collect in book form? You betcha. Hearthstone Pint Glasses - $19.60, down from $28 - Toast to your string of Hearthstone losses with a set of four Hearthstone pint glasses. Hearthstone Insulated Water Bottle - $21, down from $30 - Stay hydrated while playing Hearthstone (or any other time. It's just a good idea). Tagged with Articles,	Black Friday,	Blizzard Entertainment.